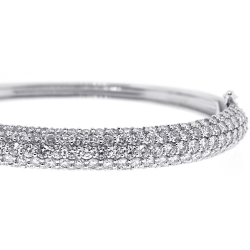 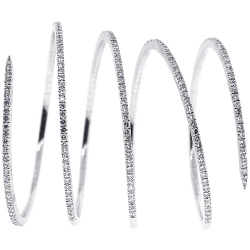 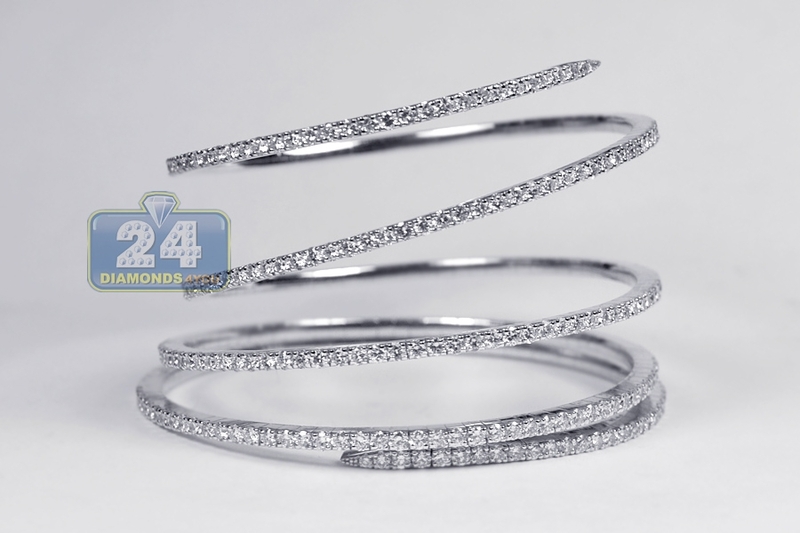 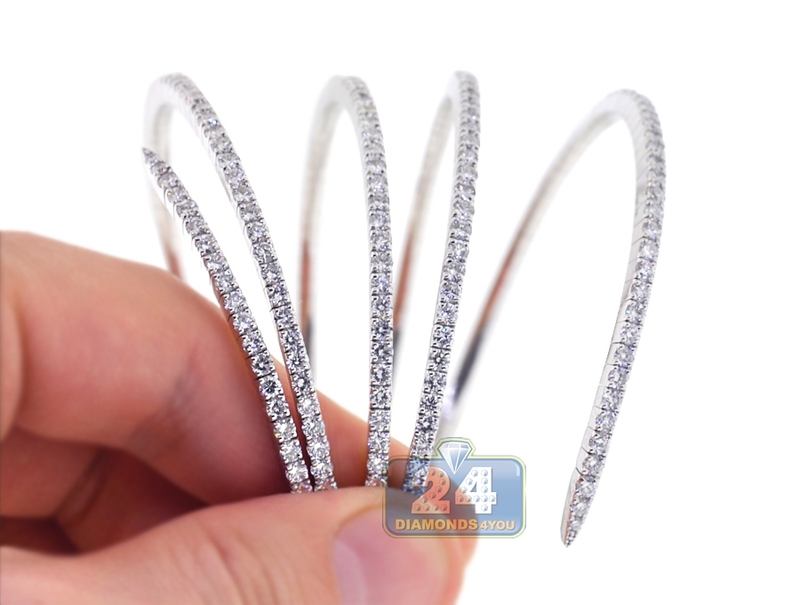 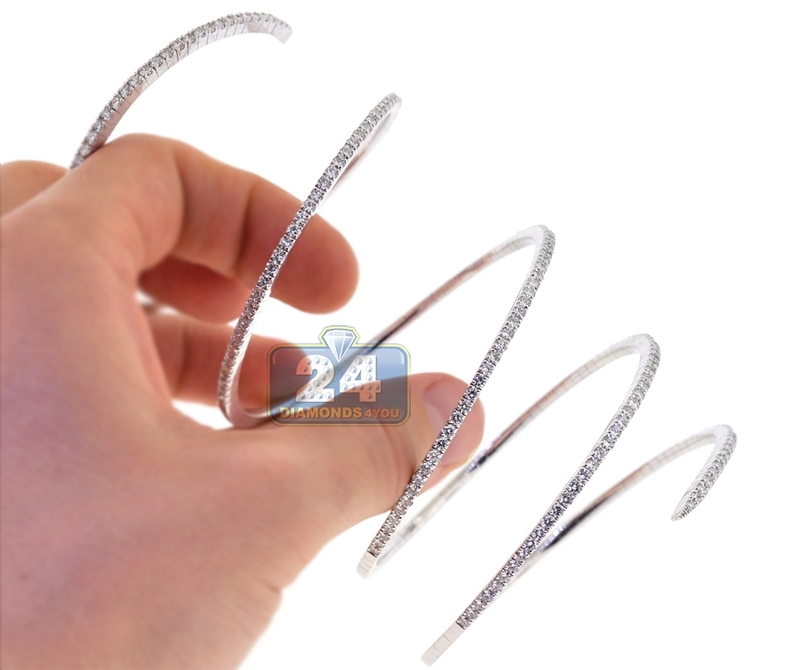 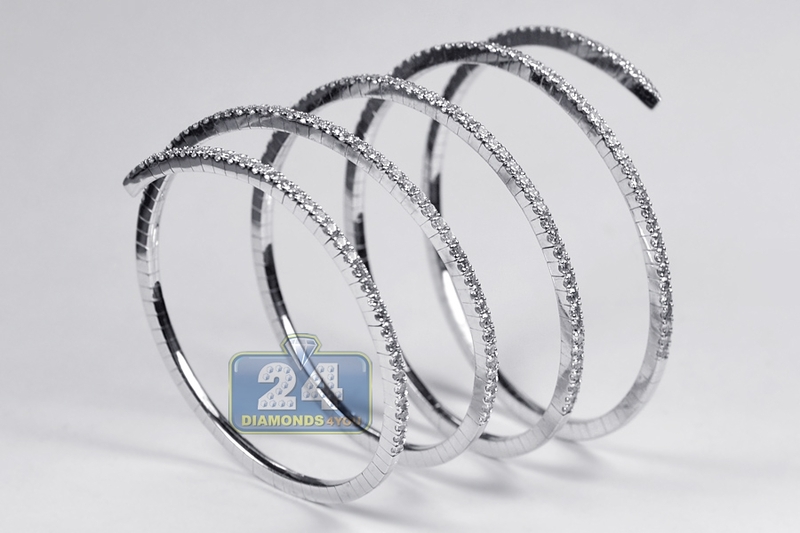 Moving like spring, our diamond bangle bracelet wraps your wrist making an eye-catching chic statement! Artfully crafted in cool 14k white gold, it's perfectly polished for ultra-smooth touch. 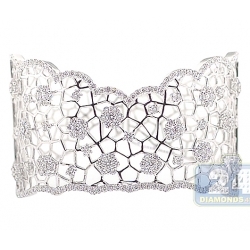 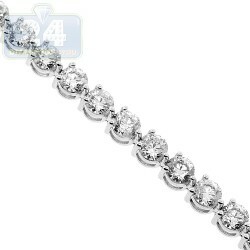 It also sparkles with 11.42 carats of icy white round brilliant-cut natural diamonds. 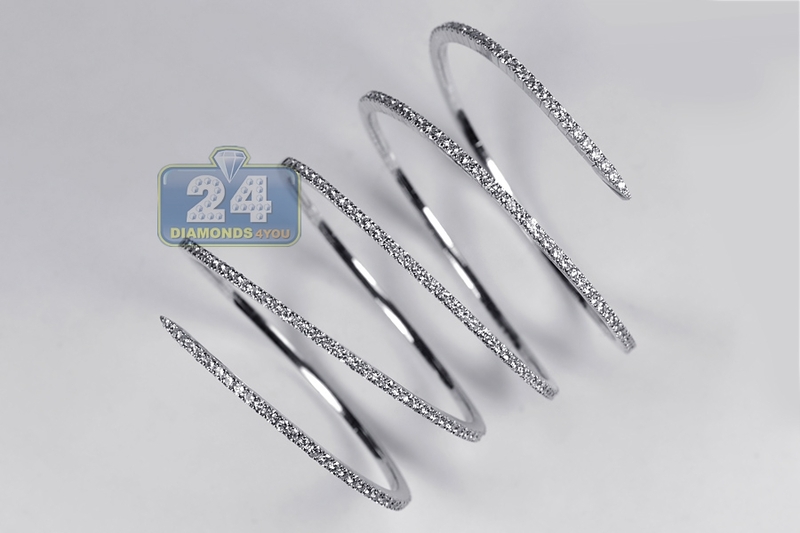 Approximate length of one circle is 175 mm, height in free form is 80 mm and width of line is 2.5 mm. 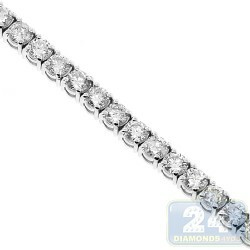 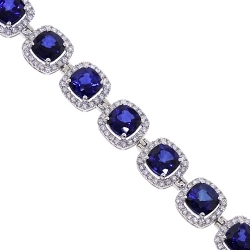 This women's flexible bracelet is ready to become a part of a heirloom-worthy collection!